GSQ Blog→Christmas ideas→Dates on the Calendar are Closer than You Think! and time always goes so much faster that we think. Really I am not trying to stress anyone but now is the time to start thinking if you are planning any Genealogy Guerrilla Action this year. Christmas and family gatherings are an ideal time for Genealogy Guerrilla Action, where you can sneak family history into the activity without being obvious and having their eyes glaze over. It can take time to get the information together even in today’s online world. The family history book all written up is a dream for many, perhaps for most getting it done is the impossible dream. You don’t have to have “War and Peace”. Remember the book is made up of people and their stories so writing up a story around a person or a photo is a good start. Maybe start small with a family calendar with a family photo and short write-up on that photo for each month. In the date portion include some historical family events, date of immigration, wedding, birth, etc. You could theme the calendar eg April for a Gallipoli veteran, November for a World War 1 photo, the appropriate month for the wedding or birth, perhaps the month when you moved into a family home? You are limited only by your imagination. Many family history programs have a “On this Day” feature. It is not just photos, it could also be images of family memorabilia such as Great-Granddad’s medals, some old 78 records, a sampler, some carpentry tools, a book that Gladys won for perfect School attendance. A friend’s most cherished possession is the DVD she has of her mother showing her grandchild how to bake the special family biscuit recipe. Once our family members are lost hearing their voices is so very special. 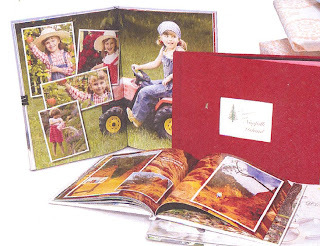 Scanning and writing a story around a photo is a wonderful thing to preserve the stories and show the importance of the family photos but having a video of Grandma reminiscing about the photo and sharing the funny, sad, silly stories would be extremely precious to future generations. Family history information on Christmas cards could also be done as could bookmarks for each family member. A friend a few years ago, had the gift cards and wrapping paper printed with historic photos. If you are thinking of persuading family members to do DNA tests this year I would very strongly suggest getting yourself done now. Getting the kit to you and then back and then tested all takes time(at least a couple of months!). Being able to show your family the results means they can understand what DNA testing is all about. This removes some of the unknown and tends to mean that you get more people saying yes to the test. This test is good for finding descendants of your ancestors back about six generations due to the way the DNA is inherited. Whatever you are thinking of doing now is the time to start the preparations.